Does Donald Trump really not have more important things to do? We're asking for a friend. Now, Trump is saying he wants to pardon the late boxing champion Muhammad Ali even though his family says he doesn't even need it. 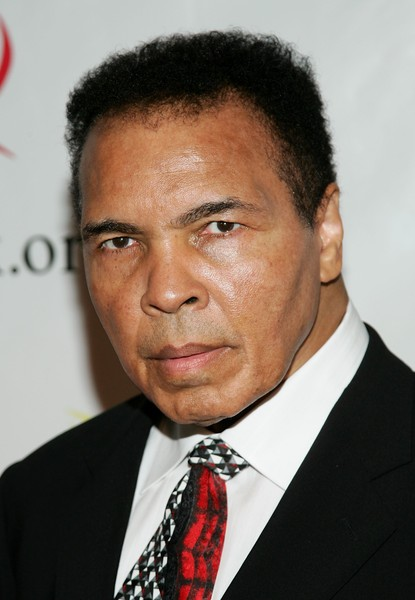 The legendary boxer was convicted of draft evasion in 1967 for refusing to fight in the Vietnam War based on his religious practices as a Muslim. At the time, Ali was sentenced to five years in prison, hit with a $10,000 fine and he was banned from boxing for three whole years during the highlight of his career. It's so weird all of a sudden he wants to "pardon" Ali. "The power to pardon is a beautiful thing," Trump said to reporters on Friday. "You got to get it right. You've got to get the right people. I am looking at Muhammad Ali. I'm thinking about Muhammad Ali. I'm thinking about that very seriously and some others." The thing is, Muhammad Ali doesn't even need a pardon, according to him family. The reason? The U.S. Supreme Court overturned the draft-evasion conviction in 1971. Ali's attorney, Ronald Tweel, issued a statement on behalf of the Ali family in response of Trump's interest. "We appreciate President Trump’s sentiment, but a pardon is unnecessary. The US Supreme Court overturned the conviction of Muhammad Ali in a unanimous decision in 1971. There is no conviction from which a pardon is needed." No one on Trump's team told him this? Ron Tweel also spoke with CNN and said Trump hasn't contacted the family about a pardon and that his interest appears to be "impulsive." "So, it's not like for weeks or days the administration has reached out to the Ali family. None of that," he told CNN. "This was all spontaneous and I think, as a lot of people like to say, impulsive. "This was quite a surprise to everybody this morning when we heard about it. So this, to our knowledge, came out of the blue, for reasons that I'll let you speculate." This news comes on the heels of Trump pardoning Alice Marie Johnson after sitting down with Kim Kardashian West to discuss prison reform. During his talk with the press, Trump also said he wants to meet with NFL players and other athletes who have been protesting during the national anthem so that they can recommend people they feel should be pardoned due to unfair treatment by the justice system. He's still missing the point though. The NFL players aren't protesting that people are being treated unfairly by the justice system. They are protesting state violence, people being killed by law enforcement. And the fact that he can understand what Muhammad Ali was doing, yet can't understand what Colin Kaepernick is doing. The woman who kidnapped baby Kamiyah Mobley (also known as Alexis Manigo) from a Florida hospital in 1998 and then raised her as her own child in South Carolina was just sentenced for her crime. Gloria Williams, 52, will serve 18 years behind bars for kidnapping. The judge gave her the length of time the child was away from her biological family. “There are no winners and no losers in this case,” Judge Marianne Aho said at the sentencing. Back in February, Gloria plead guilty to kidnapping and custodial interference after the Jacksonville Sheriff's Office discovered her in January 2017. According to reports, under the terms of her plea deal, she couldn't be sentenced to no more than 22 years in prison. Under the terms of her plea deal, she could be sentenced to no more than 22 years in prison. She was ordered on Friday to serve five years concurrently for the interference charge.During sentencing hearings in May, Gloria apologized to Kamiyah's biological parents - Shanara Mobley and Craig Aiken - for taking their child. They were teenagers at the time of her kidnapping. Both parents were present for the sentencing. Kamiyah's dad Craig Aiken spoke to the media following the sentencing, thanking everyone for bringing his daughter home and he said he's focused on their future. 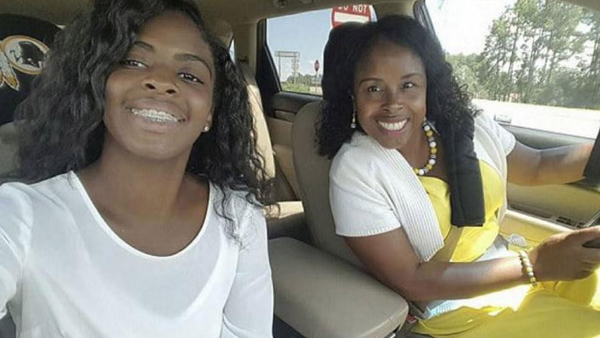 Kamiyah Mobley's father Craig Aiken thanked god for the safe return of his child and the #Jacksonville community for its support after Gloria Williams' sentencing. By the way, Kamiyah appeared on "Iyanla Fix My Life," but ish went left and nothing was accomplished. Catch those deets HERE. NEXT: ICYMI: A Black Woman Was Strip Searched In Target To Prove She Didn't Steal A Bikini - NOW SHE'S SUING!